말은 영감의 숲이다. 이 숲에는 많은 짐승들과 아름다운 풀꽃들이 피어난다. 마침내 농익은 열매를 맺는다. 더러는 배고픈 새들이 찾아와 그 열매로 배를 채운다. 뭇 영성들이 함께 노래하며 숲길을 걸어 자신들의 보금자리를 찾아간다. 맑고 행복한 모습으로 아리랑고개를 넘어간다. 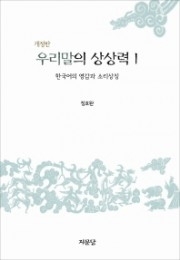 길게, 구성지게. 소리는 곧 노래인 것을. 소리와 영감은 물과 고기다. 말은 겨레의 상징이며 거울이다. 이 땅의 사람들이 살아온 문화가 우리말속에 되비친다. 새들은 끊임없이 노래하며 이야기를 나눈다. 우리 말속에 담긴 하늘의 소리를 들으면서 함께 더불어 사는 홍익인간의 본향을 그리며. Language is the forest of inspiration nestling in our body. In the forest, there are many kinds of cattle and beautiful flower. Sometimes hungry birds fly down to eat their foods. Many soul sing together and go looking for their nestle on foot. After then, they go on climbing up and down Arirang hill. The sound and soul is similar to the relation of water and fish. The language is symbol and mirror of tribes. At sametime the language reflects of their culture. Maybe we should hear the sound of heaven which means Hongikingan longing our native village.